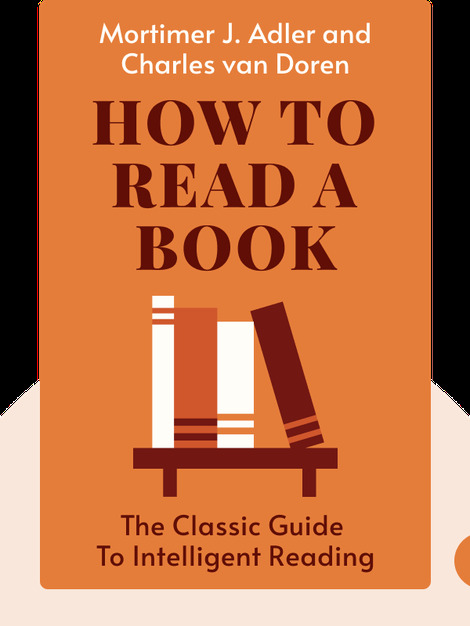 Since How to Read a Book was first published in 1940, the blank sheet of paper that faces you when you start an essay or report has been replaced by the blinking cursor in a blank Word document. 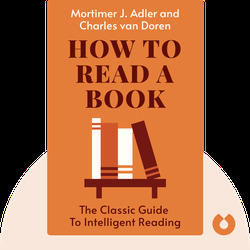 No matter: this classic bestseller, revised in 1972, is still a great guide to tackling a long reading list, extracting all the relevant information and organizing your own conclusions. Be the boss of books with this effective approach to reading and understanding texts of all kinds. Mortimer J. Adler was a philosopher, educator and popular science author. The editor of the Encyclopaedia Britannica and founder of the Institute for Philosophical Research, he was also an advocate for the education of adults through the reading of classics texts. Charles van Doren was a professor of English at the University of Connecticut until news broke of his involvement in a 1950s TV quiz show scandal. He went on to work in publishing and helped Mortimer J. Adler revise How to Read a Book. The story of the quiz show scandal was eventually transformed into a 1994 movie starring Ralph Fiennes.